A police department caused controversy this week when it posted a bag of weed to its Facebook page and dared people to come to the station to retrieve it. 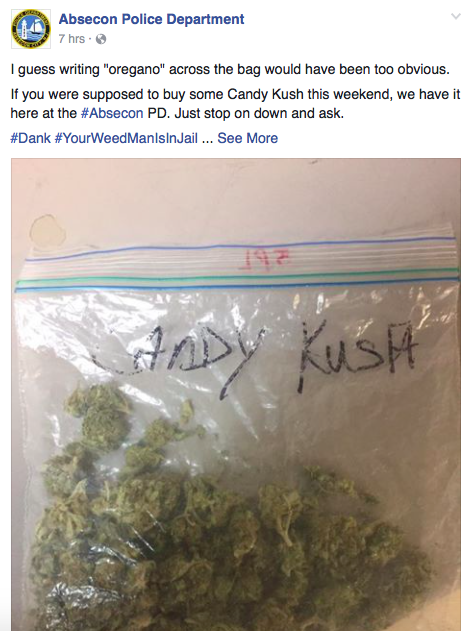 A local New Jersey police department caused controversy this week when it posted to its Facebook page a bag of cannabis and dared its intended recipient to come to the station to retrieve it, which some online users found to be making light of the scourges of the War on Drugs. The Absecon Police Department – located in the southern New Jersey town of Absecon, approximately one hour from Philadelphia – posted a photograph of a Ziploc bag filled with cannabis and asked for the person who sought to buy it to come down to the station house. On its face, the post sought to drive home the point that recreational cannabis is still illegal in New Jersey, except when used medicinally. Some online users even appeared to be in on the joke, with several responding playfully. According to one detective, the department’s social media presence is maintained by two of the department’s officers. 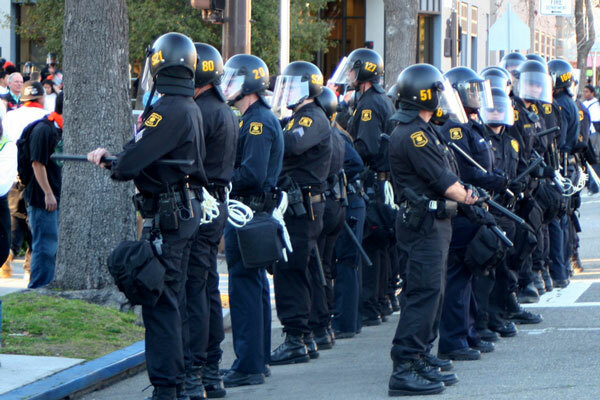 The department reportedly has a total of around 26 officers and a budget of $2.5 million. The post was met with a swift and largely negative reaction online by users who felt the police department was making light of policies that had very real – and often negative – consequences for those who were found to be in the unlawful possession of cannabis. South Jersey Cops think they are being hilarious, in much the same way every bully ever thought they were when they taunt and instigate their victims. The pro-cannabis website Dankspace also ran with the story – titling its entry ‘South Jersey Cops Think Destroying Peoples Lives Over Cannabis Is Hilarious‘ – and expressed displeasure over the tone of the police department’s posting. With no regard for the will of the people they ‘serve,’ New Jersey cops continue to violate the humanity of the citizens by enforcing senseless and destructive laws, while at the same time using social media to mock the very principles of the people of that state. We try and keep it a little more lighthearted. We find it’s a much easier way to interact with the community… It’s been proven that when we put things out there looking for help solving crimes, the more people that see it, the more tips we get. We’ve had a lot fo success with that lately.